There is something prophetic in his reply, of course. To this day, a great many viewers have strong opinions regarding the webcast and Grant’s performance as a would-be Ninth Doctor. None can deny, however, that the troubled but lively Doctor glimpsed in “Scream of the Shalka” stands apart from all other incarnations. 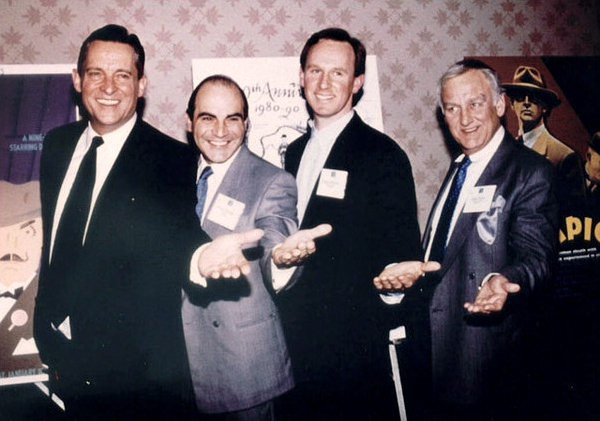 Grant’s distinctive persona has inspired the driving spirit behind each and every one of this role-playing campaign’s stories, from “Ghost Town” to “Catatonia,” allowing us to explore a mythology entirely independent of the saga that continues to unfold on television. Today, on the occasion of the actor’s fifty-eighth birthday, the official Doctor Who site has been kind enough to share a celebratory announcement, remembering that he “thrilled us as the Great Intelligence” in episodes such as “The Snowmen” and “The Name of the Doctor.” Lest the internet forget that he was also the Doctor himself for a brief and peculiar moment in Doctor Who history, we have decided to celebrate the occasion by imagining what Doctor Who Magazine might have looked like had Richard E Grant’s adventures taken hold. 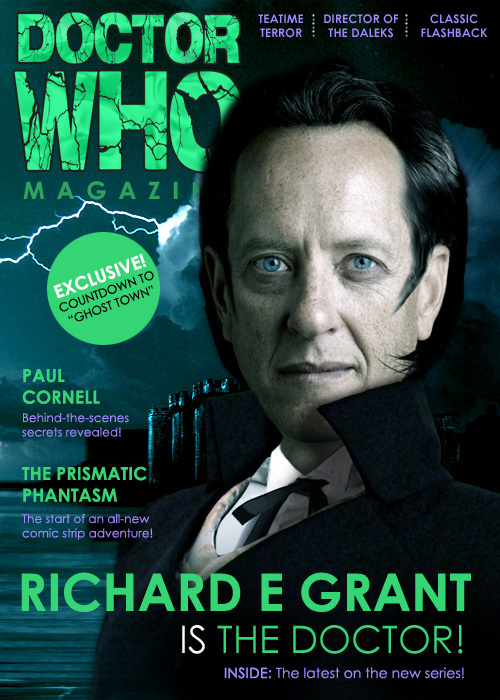 For us, Richard E Grant is the Doctor, and he’s earned the traditional cover proclaiming this. As for the feature articles, behind-the-scenes photos, and all-new comic strip adventures to be found behind such an enticing cover, you’ll just have to use your imagination. A bold new series of Doctor Who is underway. 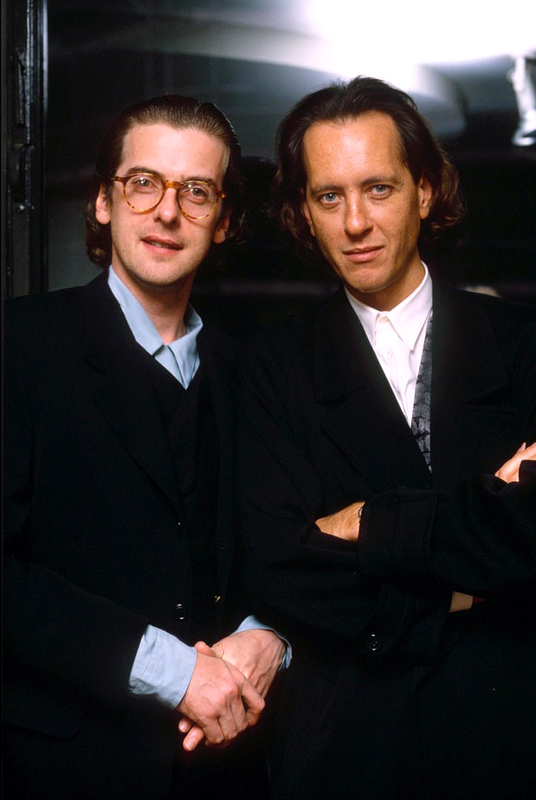 As Peter Capaldi dominates our screens in the guise of the cantankerous Twelfth Doctor, challenging mythical heroes and conquering primal fears, preparations are being made for the long-awaited return of our tabletop alternative: Richard E Grant as the Nth Doctor. 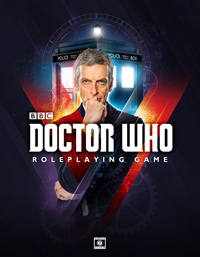 The first series of our Doctor Who role-playing campaign came to a dramatic end with “The Origin of Evil,” in which the Rani revealed that this Doctor’s greatest fears are taking shape. The Divinity, an ancient and evil race that the Doctor had thought wiped from existence, have survived. For millennia these hateful beings have been twisting human history to exact a cruel revenge. The Doctor has never been more driven—or more dangerous. The adventure continues with the forthcoming second series premiere. Hidden in human history, the Divinity wait. The Doctor and Selene continue to struggle for control as the Time Lords manipulate their lives. The Master, his black soul and secret knowledge preserved in a robotic body, has awakened. And a new companion from an exotic, far-away period in Earth’s history is ready to step through the doors of the TARDIS and experience all that the universe has to offer. Brace yourself for an all-new Doctor Who. Updates are imminent. 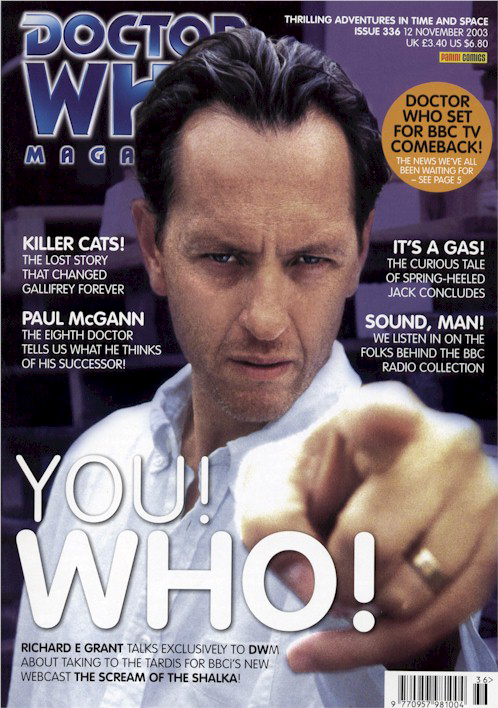 Richard E Grant graced the cover of Doctor Who Magazine only once, during the weeks leading up to the premiere of the BBCi webcast “Scream of the Shalka.” Doctor Who Magazine #336 (November 2003) offers us a glimpse of what might have been. Peel away that proud, attention-grabbing orange label that proclaims the series is “Set for BBC TV Comeback!” and we’re left with a cover that suggests Grant’s moody Doctor is the future of Doctor Who.